Geneva Women in Business is a committee of the Geneva Chamber of Commerce created to promote successful businesses in Geneva. Despite its name, all small business owners – men and women alike – are invited to take advantage of the dynamic education and networking opportunities GWIB offers. GWIB luncheon meetings are held on the third Tuesday of each month at various locations in Geneva. In addition to networking, selected luncheons feature a presentation on a range of topics to help small business owners reach their goals. All Geneva Chamber of Commerce members are automatically members of GWIB. Non-members may join GWIB for one year at a cost of $75. After that introductory year, Chamber membership is required. If you are not a Chamber member and wish to join GWIB, download the Membership Form and either e-mail, fax or mail it to the Chamber along with your payment. 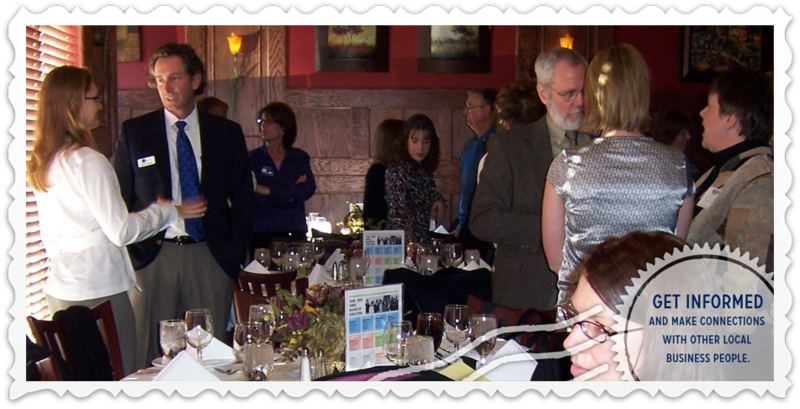 Please note that reservations must be made on or prior to the Thursday before the luncheon. If needed, vegetarian or gluten-free meals must be requested at this time. For reservations, please click here or contact Robyn Chione at the Geneva Chamber by email at rchione@genevachamber.com by phone at (630) 232-6060.